Kerala is a lightweight and comfortable boot with female specific fit and a softer flex. Kerala is designed for general trekking and hill walking and boasts top-spec premium quality materials to guarantee comfort and reliability. WEIGHT: ​​1095 gr. pair 4 U.K. The upper is constructed from high quality split leather and synthetic textile with a rubber toe-cap for protection resulting in great balance of suppleness, low weight, durability and good looks. Kerala comes fitted with our exclusive Dry-Line™ waterproof lining with Sympatex® for unrivalled waterproof breathable performance and reliability in all weathers. Unlike lesser walking boots Kerala is built on a board-lasted platform with a full length midsole for superior underfoot support and protection on rough terrain. The Vibram™ Due Rocce offers excellent grip on a wide variety of surfaces with well-spaced tread blocks that avoid clogging in muddy conditions and features a special TPU piece under the heel for added torsion control. Kerala is ideally suited to 2-3 season hiking and backpacking below the snow line. Featuring low weight, great fit and durable construction, Mazama has exceptional comfort and reliability. The Dry-Line® technology ensures unrivalled waterproof and breathable protection, and the supportive and grippy Vibram sole provides confidence inspiring grip. Mazama, the perfect partner for exploring the trails. Our all new improved version of the Hurricane is unlike anything else! Using revolutionary construction techniques and unique materials we have created a boot which takes comfort, breathability and low weight to unprecedented levels. Hurricane offers the same underfoot support as a regular hiking boot, yet incredibly it weighs less than many approach shoes. Turkana is a lightweight and comfortable boot with female specific fit and a softer flex. With its mix of high quality leather and textile Turkana takes the easy-wear comfort and style of a fabric boot and combines this with the extra rugged durability of an all leather boot. Turkana is designed for general trekking and hill walking and boasts top-spec premium quality materials to guarantee comfort and reliability. Your new favourite trail walking shoe. 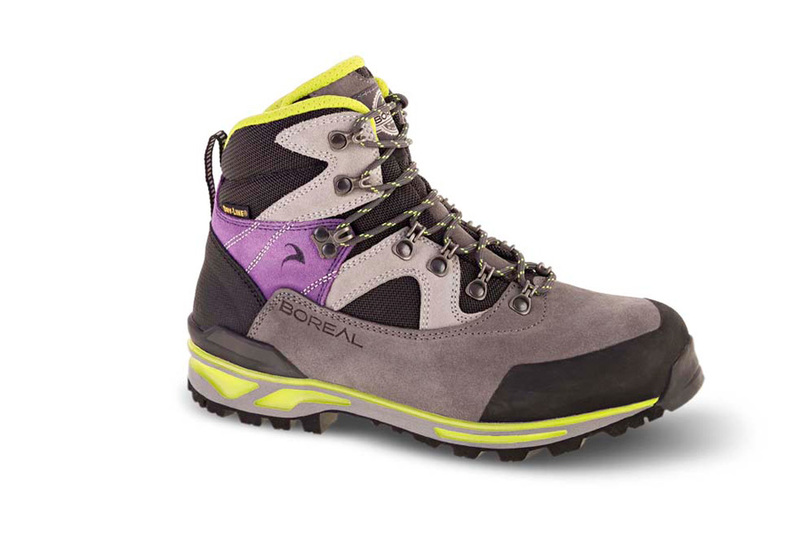 Tempest Mid is lightweight, grippy, weatherproof, comfortable and stylish. What more do you want?